Uber modern Scandinavian design meets vibrant, saturated colours in this stunning print by Copenhagen Print Factory! 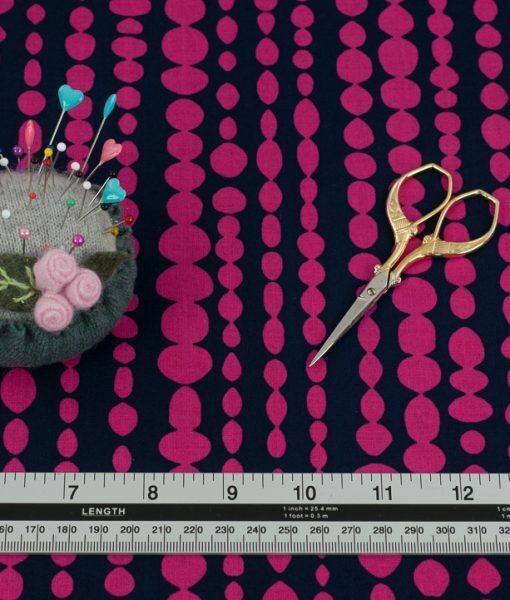 Scandi quilting fabric fans, this is a gorgeous option for your next quilt, cushion and more! 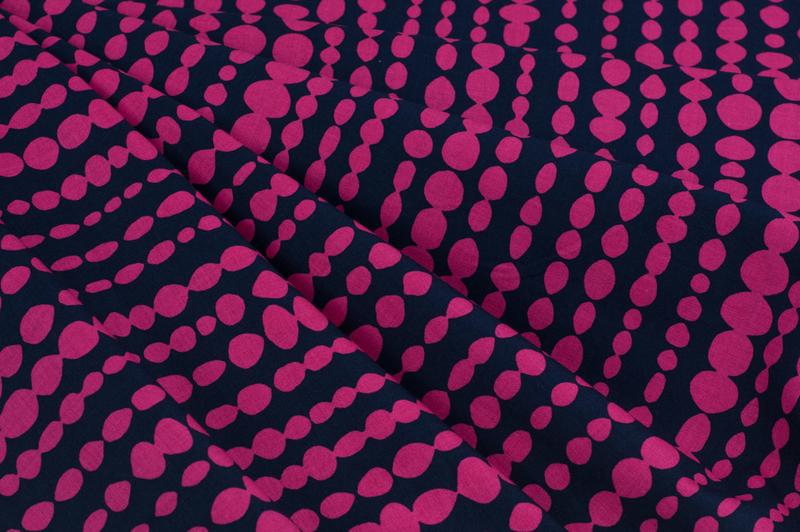 This gorgeous print features deep pink dots of varying sizes set against a navy blue background. Beautiful! 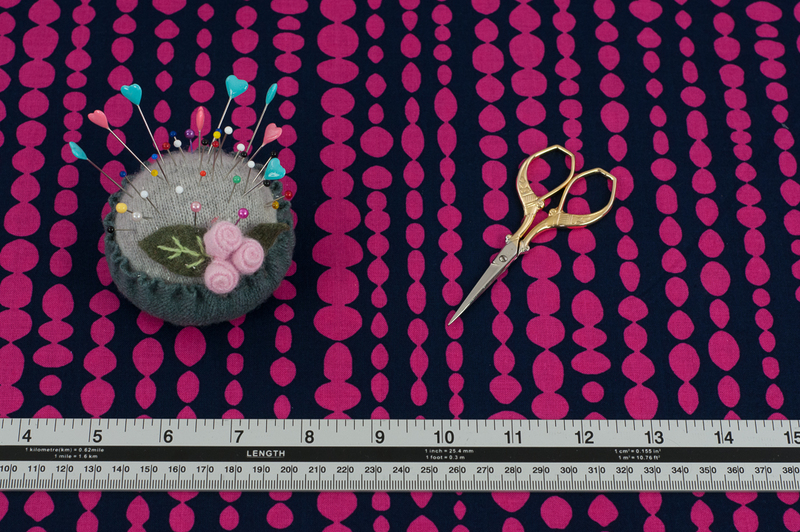 We’re seeing some fab dressmaking and home decor projects with this gorgeous print! 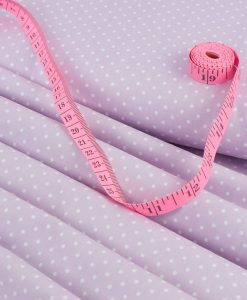 Medium weight cotton fabric can be used for dressmaking, quilting, light use home decor projects, bags and more. 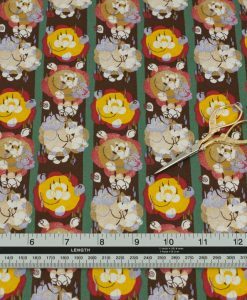 Ready to order but unfamiliar with fat quarters and long quarters? No probs! All you need to know is explained here. 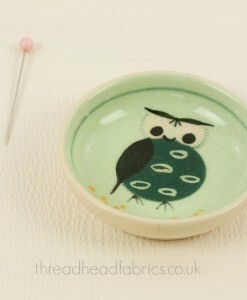 Hey fellow Thread Heads with a love for all things scandi! 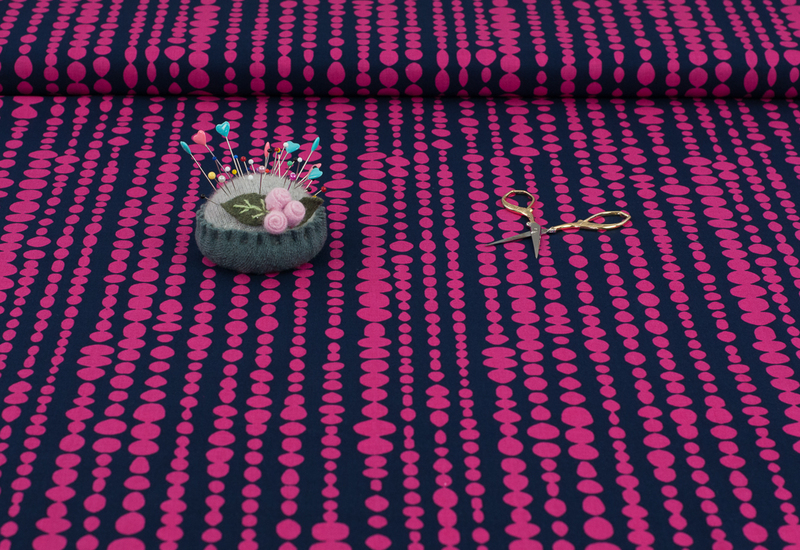 This beautiful print from the Copenhagen Print Factory is right up your street! 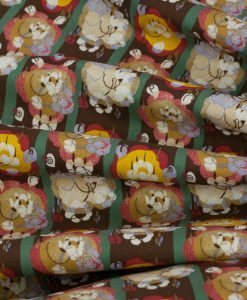 This design is so on trend with ever popular Scandinavian prints that reflect the culture of contemporary design so in vogue in Scandinavia. 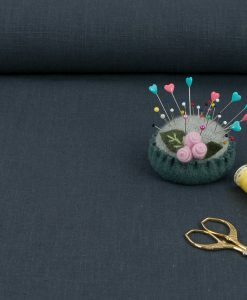 Copenhagen Print Factory has been creating high quality, lovely fabrics for years and have established themselves as leaders in creating earth friendly fabrics. 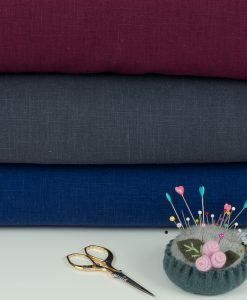 This fabric is meets the OEKOTEX Standard 100 criteria meaning no harmful chemicals were used in the production of the fabric from its beginnings as a cotton seed all the way to packaging used to distribute the final product. 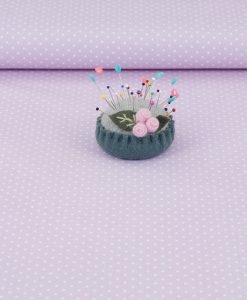 So happy news for Thread Head users! Manufacturer’s suggested washing instructions: machine wash 30 degrees. Tumble dry low. Medium iron if needed. Do not bleach. May be dry cleaned. 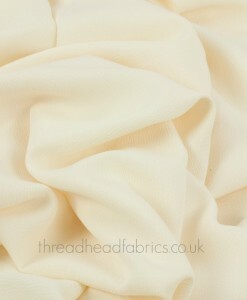 Thread Head Fabrics recommends you pre-wash your fabric before beginning your sewing project as cotton fabrics will shrink slightly when washed.